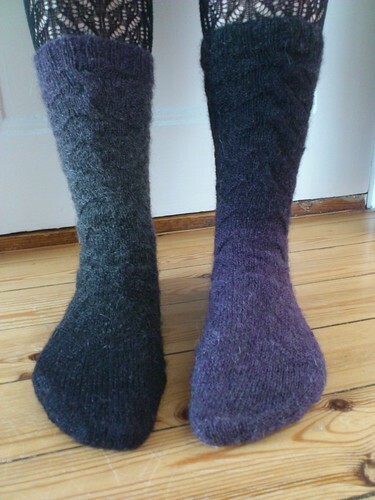 No, this post is not about natural phenomenon, but about a pair of socks. I’m very happy with these socks. They’re warm and very pretty. However, the yarn is a little too dark, the cables and knit and purl patterns almost disappeares. I really need to finish these quickly. Winter is here. I should have learned my lesson with my wristwarmers. 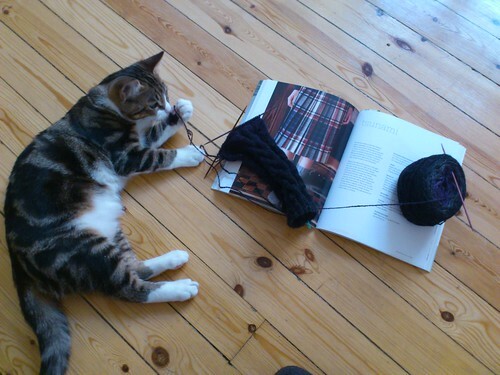 Some knitting projects simply are not suitable during the winter months. 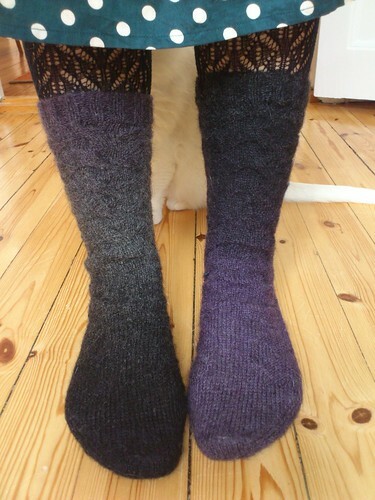 But the lovely yarn I bought at Christmas demanded to be made in to a pair of socks. 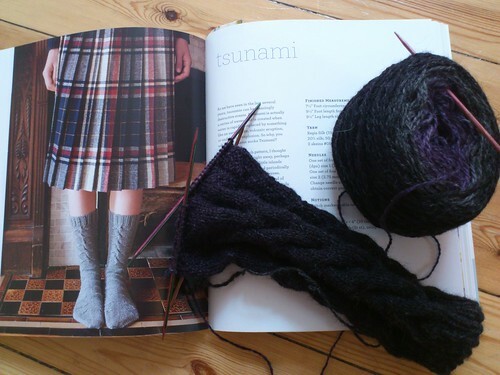 There are many lovely patterns in the sock knitting book Stefan gave me, and I particularily fell for the Tsunami socks. Cables, knit and purl stitch pattern, but still very simple. Well, knitting with dark, practically black, yarn does strain the eyes. However, I ended up with a cold about a week and a half ago which meant that I had to stay at home for a few days. Despite being ill I did manange to begin this project, though, and by Monday, I’d finished the first sock! I haven’t had the time and energy (or daylight!) 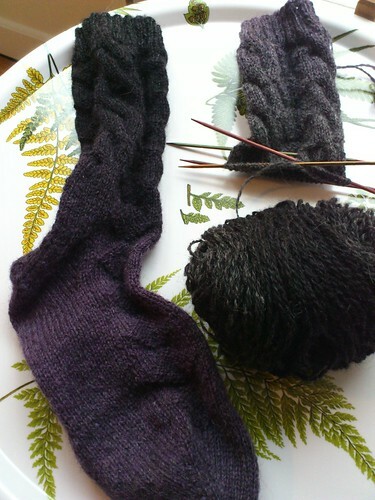 to knit very much since though, so the second sock hasn’t progressed that much. I picked it up again this morning and knitted on the bus on my way to work. It felt great. I like the pattern very much. It’s simple, but have enough variety to make it interesting. The instructions are very well written, clear and easy to follow. This will probably be the first of many patterns from that book I will knit.